In June of last year, Apple announced that it would migrate all of its systems to Intel platforms by its World Wide Developer Conference (WWDC) in 2007. Earlier this week Apple announced that the transition was complete, finalized by announcing the brand new Intel based Mac Pro and Xserve systems for professional workstation and server customers respectively. A full year ahead of "schedule", very few expected to take until 2007 to complete the transition considering the x86 version of OS X had been in development in parallel with the PowerPC version for the past 6 years. It's been a long and not always as exciting road, going from the PowerPC G4 and G5 based systems to the new Core Duo and Xeon based Macs. 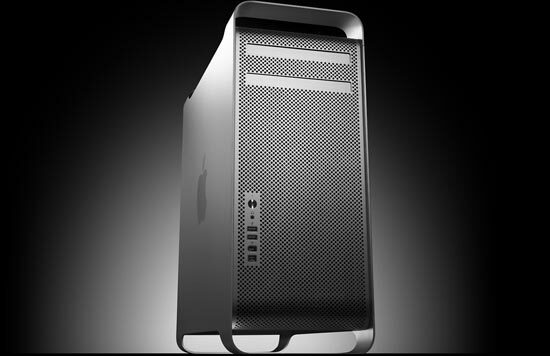 Externally, little has changed with the new Macs, but on the inside these things are full blown PCs running Mac OS X. The entire transition has honestly been quite impressive on Apple's part, as switching CPU architectures this seamlessly is not easy to do. We've looked at previous Intel based Macs, the MacBook Pro and the new iMac, and generally have come away quite pleased with the move to Intel. There are still some hiccups here and there, mostly thanks to applications from companies like Adobe and Microsoft that have yet to provide Universal Binary support but for the most part the end user isn't aware that Apple's OS and software have gone through dramatic changes over the past year. We will be bringing you full coverage of the new Mac Pro, including a complete review of the system compared to other PCs as well as its predecessors, however we found ourselves talking a lot about the specs of the new Mac Pro that we decided to put that discussion in an article before our review goes live. We're still awaiting our review sample and hope to begin testing in the coming weeks, but until then there are a number of items worth discussing about the new Mac Pro. We'll examine the price impact of Apple's choice of Xeon over Core 2 processors, fully explain FB-DIMMs and what they mean to you, as well as talk about the chipset, graphics and storage options on the new platform (while offering some cheaper alternatives to Apple's Build-to-Order upgrades). The point of this article is to help those of you ordering today, analyze and understand the specs, as well as provide some of the necessary background information for our review that will follow in the coming weeks. Without further ado, let's talk about one of the most important aspects of the new Mac Pro: the CPUs. I just picked up a 2.66 MP 2GB and got some SATA-eSATA PCI plates to route the 2 hidden SATA ports to my eSATA drive and it was a no go. I tried both having the drive powered up then booting (system hung at the gray screen) and powering on the drive after the MP was up and running (nothing happened). any ideas? I received my Mac Pro last Friday afternoon. It's absolutely wonderful. It's also absolutely silent. I imagine that getting crossfire to work is a matter of simple firmware flashing. With SLI, the motherboard supports it, but the Mac OS doesn't. But because crossfire depends mostly on the crossfire card, flashing the card with Mac firmware, which often works with other cards, (see Strange Dog Forums, http://strangedogs.proboards40.com/index.cgi?board...">http://strangedogs.proboards40.com/index.cgi?board... should allow it to work. I'd be interested in trying this, if I had the funding.